Chris Granger and I met up with Ken Levy the other day to talk about the new Editor and VS Extensibility. Ken is responsible for the code cast interviews at code magazine. Chris and I sat down with Ken to discuss the Editor, the SDK, the Extension Manager, VSIX and some of the cool new things we’re shipping in Visual Studio 2010. Short Bio: Quan is responsible for the Extension Manager and Visual Studio SDK. 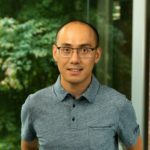 Quan has been with Microsoft for over ten years and has also spent time working on the Tablet PC Team and the Visual Studio Deployment team.